Curad's Back Support with Dual-Pulley System offers a low profile design which allows the support to fit comfortably under your clothing. It allows for tailored compression, and the metal stays provide added support for the lower back and abdomen. 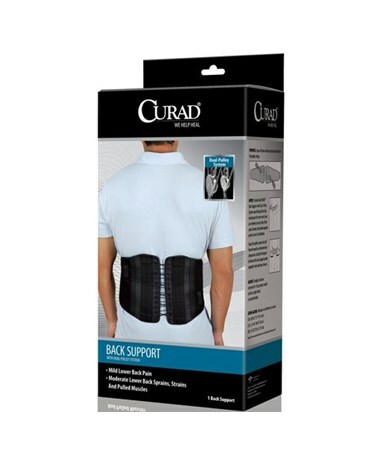 Curad's Back Support is ideal for weak muscles and lower back pain. 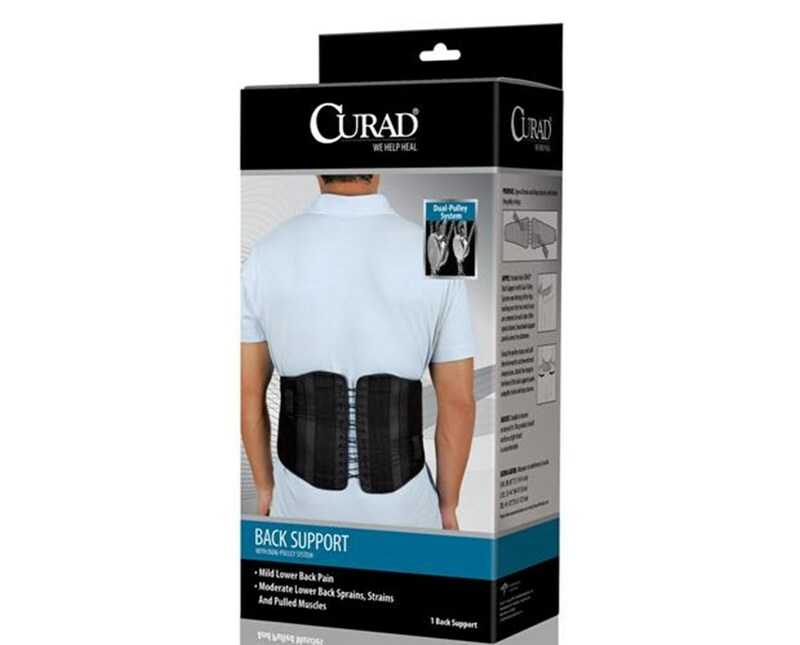 We offer the Curad Back Support with Dual-Pulley System in two sizes, individually or by the case. Select from the drop down menu above.